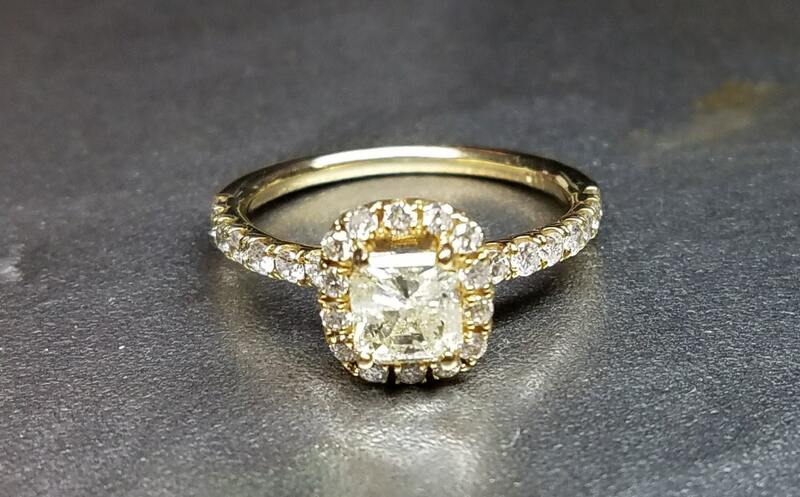 Cushion cut diamond engagement ring yellow gold. 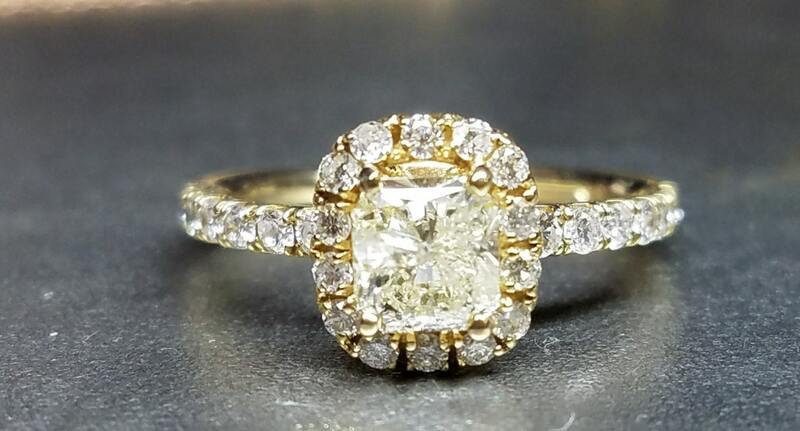 She will fall in love with this breathtaking engagement ring. 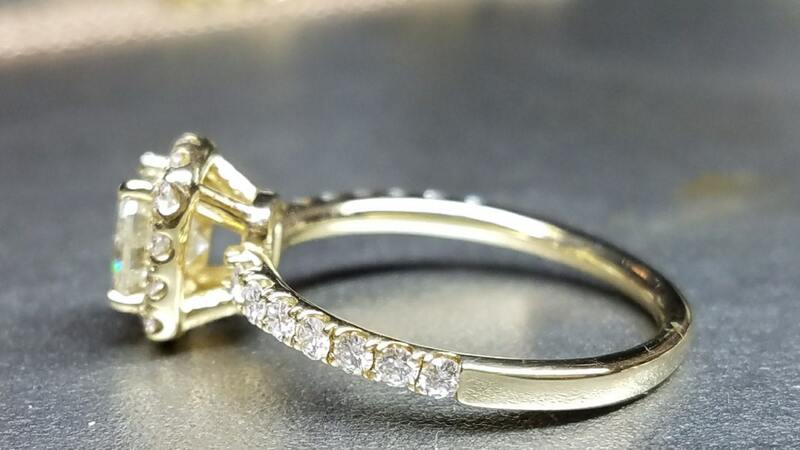 Beautifully styled in sleek 14K yellow gold setting, this ring offers a timeless and elegant design. 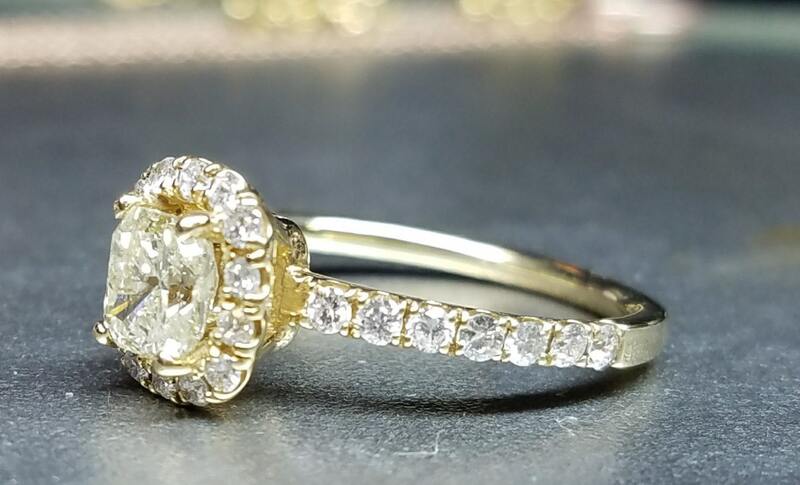 It features a 0.83 ct. I color and I2 clarity cushion cut center diamond, with diamonds in the halo and band totaling 0.46 carat. The diamond in the center is yellowish and the inclusions/imperfections are visible to the eye. A free ring sizing service is available with every purchase so don't let this be a concern. 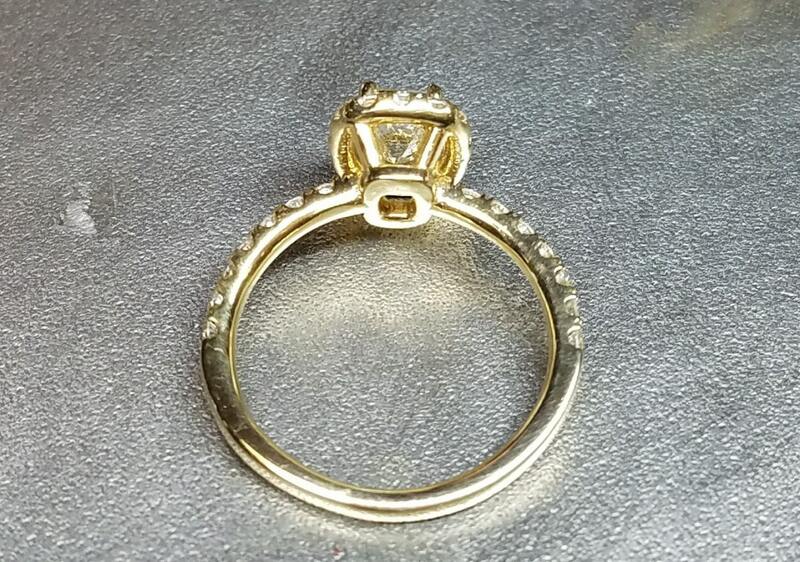 Just contact us and let us know your ring size, we will make sure that your rings will be perfectly sized.